Whereas the first written mention of this property dates from 1371, much of the courtyard and its’ enclosing buildings date from the 13th century. Whilst subsequent centuries witnessed the whims of architectural fashion and/or the needs of owners – many middleage vestiges are omnipresent. There are arched dungeons and cellars, circular-tower staircases, chiselled stone windowframes, massive beamed ceilings and much more. The more famous (or infamous) residents of the courtyard dwellings include: the Burgermeister Rotgherus de Lapide; Mayor Conradus Kegheler; goldsmith Herman van Corne, Blackheads Brotherhood member Hans Luhr, the renknowned Nottbeck family, Mayor August Reinhard Koets and Baron Victor Maydell. From seeing and knowing the above – the idea of a bonafide Master’s Courtyard was born. 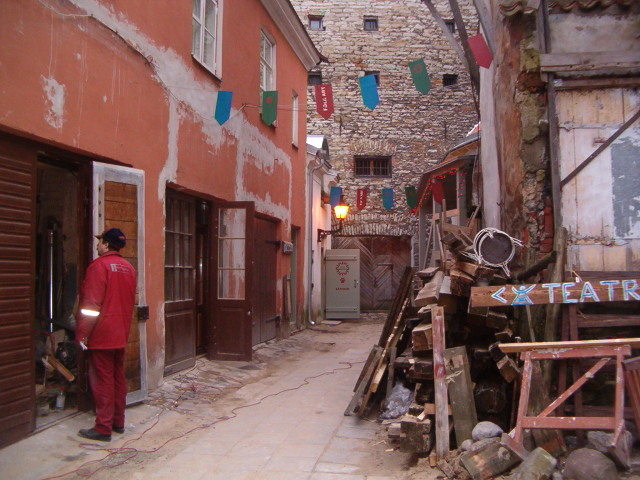 In 1993 the Master’s Courtyard Non-profit Organisation (MTÜ – Mittetulundusühing Meistrite Hoov) was founded with the objective to restore and rebuild the severly deteriorating property with workshops, galleries and exhibition halls. The Courtyard will become an artisans quarter, where master artisans and craftpersons ply and preserve historical artisan traditions and techniques, teah apprentices and produce. 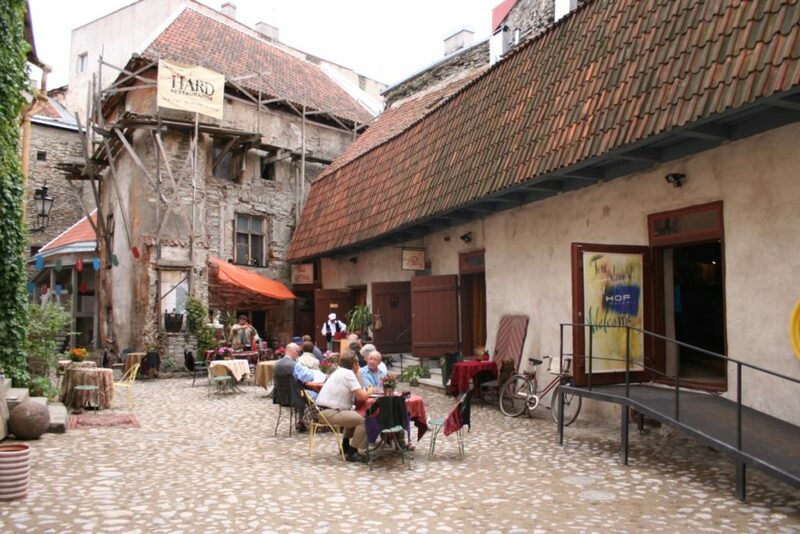 Here residents and visitors may come to observe master artisans ply their craft and trade, enjoy galleries and savour a variety of excellent coffees – all this in one of the more attractive courtyards in the city. Each workshop will have pictures, engravings etc. which will introduce the history of each trade, craft or art domain in Estonia. This will provide an educational overview of techniques and tools and their permutation through time to the present day. Special attention is made to the physically challenged and elderly visitors, for whom sloped pathways and lifts will allow ready access to the workshops, galleries and exhibition halls. In the future we await visitor artisans from abroad to enrich our own artistic community. For these visitors, accomodations are being built in the Courtyard. These may also be used as tourist accomodations upon availability. The Courtyard reconstructions has commenced. The entire Courtyard should be completed by 2010.